Arthur A. Levine Books, 9780545131957, 240pp. Andi Grant adores her six-year-old brother, Daniel, a "miracle child" who survived a fall down a mine shaft. People regularly come to him for blessings and healings -- which often seem to work -- but Andi worries about their effects on her brother, especially when she finds signs of a stalker around their home. With the help of her once-and-maybe-future boyfriend Jeff, she comes up with an audacious, dramatic plan to stop the attention on Daniel: an "Anti-Miracle" that will unravel with the slightest examination of the facts, and cast doubt on his powers foerver after. As her plan comes together, the stalker draws closer, and the clock ticks toward Daniel's star appearance at the local Paradise Days celebration, Andi finds herself wrestling with her own beliefs in God and her brother, and wondering if what she really needs is a miracle. 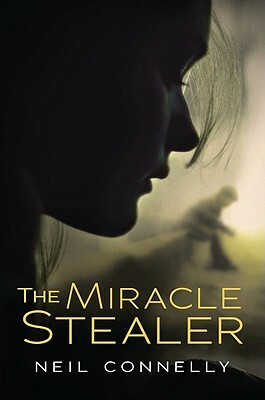 Neil Connelly is the author of three critically acclaimed novels, most recently The Miracle Stealer, which Booklist called "realistic, gutsy--and yet movingly spiritual." He teaches creative writing at Shippensburg University in Pennsylvania and lives in Camp Hill, Pennsylvania with his wife and their sons. You can find him on the web at www.neilconnelly.com.